During fire the temperature in the nearby atmosphere increases or goes beyond 57.c. 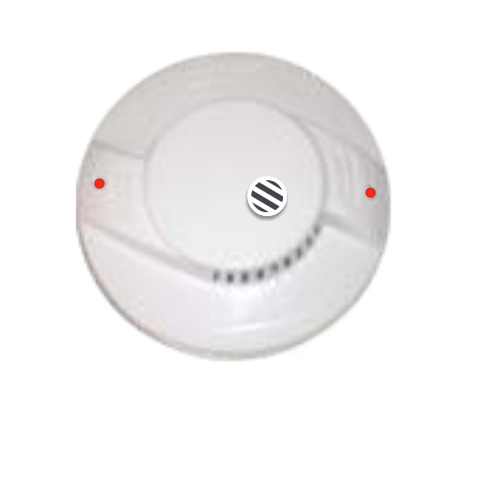 By detecting this change, the Heat Detector automatically triggers the fire alarm system. Bells SecuTech has been in the field of hi-tech Burglar Alarm, Fire Alarm system and other security alarm system, since 1992 running in the name of GLENWOOD MICRO SYSTEM PVT LTD,Now we take over the company in name of Bells Secutech, Especially for Fire Alarm Systems.The products have been designed and developed by our company's R&D with technology collaboration with Glenwood Systems, Cheshire , CT , USA . and our company locally tie up AIRLIGHT brand Addressable smoke detectors and Fire Alarm Panels, Manufactured by NAVEEN ALARM INDIA LTD, located at Chennai , ISO 9001-2000 CERTIFIED Company. Bells SecuTech's goal has been to apply the latest technologies in microelectronics to make a positive different in every one's live. Backed with immense resources in advanced technology and manpower, Bells SecuTech is engaged in designing, manufacturing and marketing of computer controlled products and appliance to consumer and industrial markets in India and abroad.Our Security products have state of the art microelectronic components and the most advanced sensors& software, they are built for reliability & endurance to adverse conditions. Our systems comprise of indigenous components with UL approved & CE approval as well as imported components. All major development, manufacturing and marketing operation's are based at Chennai.We apply just-in-time concepts to manage our inventory thereby reducing the cost of the customer. We develop and manufacture key systems in-house & procure components world-wide to provide customers with products that offer the best cost / performance ratio. Our founders come from world class R&D laboratories in the USA and contribute directly to the innovative produce. We used advanced design and testing tolls in our design &manufacturing operations.We are committed to total satisfaction of the customer and every minute in our operation is towards achieving this goal. We have over 650 staisfied customers across the south region. Our components ∫ellectual input into our products are of highest quality in Industries. you will experience the definitions of quality and customer support working with us.We are resbond with in 24 hrs of a service request and our help desk is manned 24 hrs a day. we operate a 24 hrs round the clock monitoring station at chennai. We have sales and service offices in Chennai, Coimbatore, Bangalore, Hydrabad, Pune and Delhi. Our products are sold through direct sales chanels and authorized resellers and dealers.